Parents, teachers, administrators, and community members need to be the voice for children, to support the efforts of building outdoor classrooms and using outdoor instruction with school lessons. A classroom in nature is a gateway to experience something new, see people in a different way, become more self-aware, and allow an individual the opportunity to learn skills in working collaboratively with others, practical environmental conservation, or field research, for example. These opportunities will become more important to students because they will be learned in context. Research suggests students gain confidence when an outdoor classroom and instruction is used, as well as a higher achievement academically. Thus, it seems important for the well-being and development of children to use an outdoor classroom with instruction, and to do so at least once a week. Outdoor classrooms may come in many different shapes, sizes, and varieties, all with different construction costs and purposes. Though, the overall aim for design of an outdoor classroom should be to help support the teaching process keeping in mind greenery, proximity to school building, and ease of access and use. As a society, we have become so separated from nature that we fail to realize our basic need for experiencing nature as an important part of the growth and development of an individual. 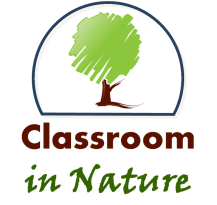 However, this growth can occur when outdoor classroom instruction is used, and so, individuals must support the idea of a school district using an outdoor classroom – a classroom in nature.